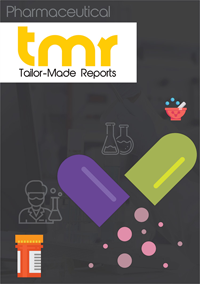 The global neuroendocrine tumor treatment market is expected to witness stupendous growth during the forecast period 2018 – 2028. Surge in neuroendocrine tumor cases all across the world is significantly helping the market to grow at an exponential rate. Neuroendocrine tumors are generally clinically asymptomatic and symptomatic. The treatment for neuroendocrine tumor that has been adopted is curative based upon the complication associated to disease etiology and symptoms of the disease. Surgery is one important step that medical experts rely on in cases dealing with neuroendocrine tumor. However, as the disease is asymptomatic it is treated first when the diseases reaches the metastatic stage, therefore surgery doesn’t hold to be a viable option anymore. One of the major reason driving the global neuroendocrine tumor market is the aggressive growth of the healthcare industry. Heavy flow of investments to increase the life span of population is anticipated to develop the healthcare industry. Extensive research and development activities to develop new types of treatment at lesser expense. Rise in preference for a minimally invasive treatment is propelling all the manufactures to find new treatments, this is anticipated to help the global neuroendocrine tumor treatment market. Help by government of various countries to develop the healthcare industry is indirectly aiding the market to grow. Rising awareness regarding about the disease and its advancement treatment among the population is helping the market to gain tremendous momentum. Apart, from these, rise in disposable income throughout the world is likely to make people to opt advancement treatment for neuroendocrine tumor, this expected to contribute a significant revenue to the healthcare sector which is prognosticated to enhance the treatment, thus bolstering the growth of the market. In recent past, somatostatin analogues and targeted therapy for treating neuroendocrine is gaining an immense popularity. These treatments are known to control the target biomarkers, restricts the growth of cancer, and also control the symptoms. Molecular targeted therapy which consists of drugs such as Sunitinub and Everolimus are considered to be the first line treatment owing to less side effects. Somatostatin analogues are chose by surgeons for people who tend to evade radiation therapy and surgery for treating neuroendocrine tumors. Recently, a major neuroendocrine tumor treatment players, Boehringer Ingelheim proclaimed that it will invest US$270 mn to build new and advanced Biological Development Center, which will specialize for immune-oncology and immunology. This step is likely to be a leap step forward to better treatment of this disease. On the basis of region, North America is held accountable for holding major market share in recent years due to supportive insurance policies for facilitating neuroendocrine tumor such as Midicaid, Tricare, and Medicare. Heavy investment on research and development by pharmaceutical companies in the region is supporting the market in region to grow. Favorable government initiatives in the region for cancer research is likely to drive the market in the region. However, Asia Pacific is predicted to see a strong demand in the market in coming years owing to surge in cases of neuroendocrine tumor. The market is highly competitive in nature owing to presence of considerable number of players. Majority of the companies are undergoing for a strategic partnership such as merger and acquisition to expand their customer base. Players are widening their product portfolio to attract more people. Some of the major player in the market are Pfizer, Inc., Novartis AG, Ipsen Pharma, and Boehringer Ingelhein International GmbH.